With excitement I had made lunch reservations for City Tavern in Philadelphia. As a historian, I fully expected to love the experience—what’s not to love about sitting in a reconstructed 18th century tavern eating authentic cuisine served by wait staff in period costume?! And as a lover of virtually all foods (except mayonnaise, sour cream, and organs), I couldn’t wait to see what delights Chef Walter Staib had created for his menu. From time to time, I had watched his show A Taste of History and applauded his attempts to bring history alive through cooking. My mother was accompanying me on this trip. Although she tends to have a meek and cautious palate, I saw several dishes on the menu that would meet her approval. Moreover, she loves history and had fostered my interest in it. When we pulled up in front of the restaurant, the red brick building exuded charm. I was immediately transported back in time. 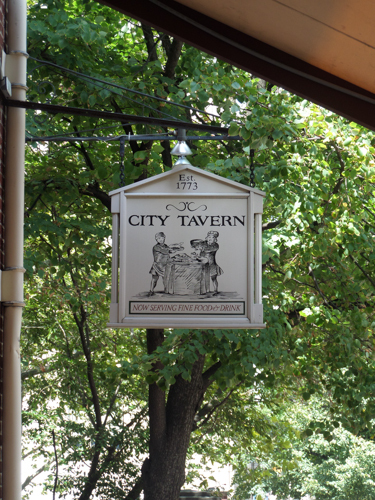 When City Tavern first opened its doors in 1773, many colonists were getting sick and tired of the British crown bossing them around without allowing them equal participation in government. They needed open meeting places to discuss courses of action. Taverns fit the bill. They were public places where men gathered to debate politics, get the latest news, and talk business. At times throughout American history, a couple alehouses even acted as courtrooms and polling stations. And in the 1770s, a few taverns became places to foment revolution and toast rebellion. 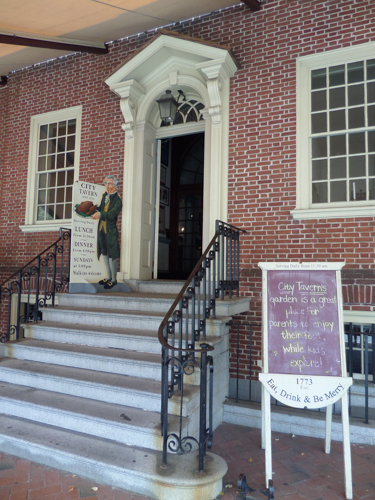 Men like Thomas Jefferson, John Adams, and Benjamin Franklin all sat around the table at City Tavern. The area was prime—located not far from important state buildings where Patriots were strategizing how to win against Great Britain. In fact, members of the First and Second Continental Congresses met there and the Constitutional Convention held its closing dinner at the restaurant. Set amid rich gardens, stately homes, and near important establishments, the location was as perfect in the 1700s as it is today. Reportedly, John Adams called City Tavern “the most genteel tavern in America.” Walking through its doors I thought that much hadn’t changed in 240 years. We were promptly greeted by a genteel lady wearing a Revolutionary-era dress. She led us into one of the elegant dining rooms boasting high ceilings, fine moldings, a fireplace, and windows looking out upon the garden. As the heat index was 110 degrees that day, I welcomed how cold the water tasted from the pewter cup on the authentically-set table. While I waited for my Beef Pie Turnover, our server brought delectable breads including Thomas Jefferson’s “Sweet Potato Biscuits.” The main dish came. I hadn’t known what to expect from 18th century fare, but this entrée tantalized my taste buds. 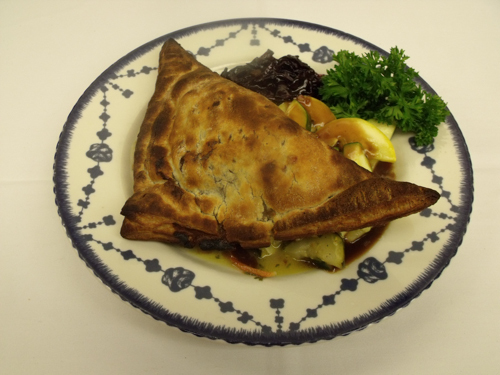 Tender beef and mushrooms were baked in a triangular puff pastry pocket of love and served with a red wine sauce. Tangy cabbage brightened the dish nicely. My mother enjoyed an incredibly juicy, thick-cut pork chop on the bone. Because it had been cured and smoked, it tasted like ham. I found myself begging for a bite and was glad that I tasted it. She also loved the mashed potatoes, which she could tell were home-made. I later found out that virtually everything is made from scratch at City Tavern. They even perform the onerous task of peeling potatoes. You would think that as a historian I would naturally be interested in 18th century food, but truth be told…I’m not. The City Tavern meal, however, piqued my curiosity in the man behind it. I’m a person who continually sees the past in everyday things, so I wanted to know what had driven Chef Walter Staib to dig up Revolutionary War era recipes? Who was this man who paid such beautiful homage to history? I asked our server if the chef had always loved the past. He said: “Chef’s here. I’ll go ask him.” He came back to let me know that Chef Walter was on his way over. A decorated chef with numerous prestigious awards, Chef Walter is completely accessible. Although he’s lived in the States since he married his wife in 1969 (a forty-seven year long romance parted only by her death), his voice still bears a German accent. It rang true to me that an immigrant should undertake the herculean task of uncovering America’s early food history. America is a melting pot of ethnicities. Our story is a tale of immigration from various countries. When we came over, food gave us a line to our past. And that is what Chef Walter uncovers in his restaurant and his television show A Taste of History—the story behind the recipe. I asked him if he had always loved history and was surprised when Chef Walter Staib explained that “no” he had not always had a penchant for American cuisine or historical recipes, but that when he read the history behind City Tavern that all changed. After successfully proposing to Congress his idea for a restaurant serving authentic 18th century fare, the government (who owns the building) entrusted Chef Walter with its care. 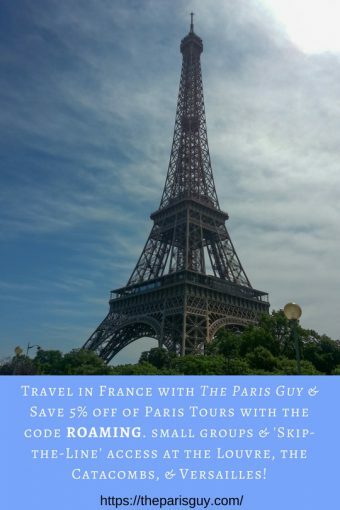 It is a faith he doesn’t take lightly, as he researches the recipes for his restaurant and his show. The chef consults numerous archival sources to cull the history behind the recipes. For instance, City Tavern serves “Ales of the Revolution” with George Washington’s Tavern Porter brewed from a recipe found in the Rare Manuscripts room of the New York Public Library. Besides being impressed with Chef Walter’s thoroughness when researching his recipes, I’m appreciative of how he makes history accessible by telling those stories to a great deal of people. Traveling to Philadelphia was a wonderful educational experience, but not everyone can afford such a trip. 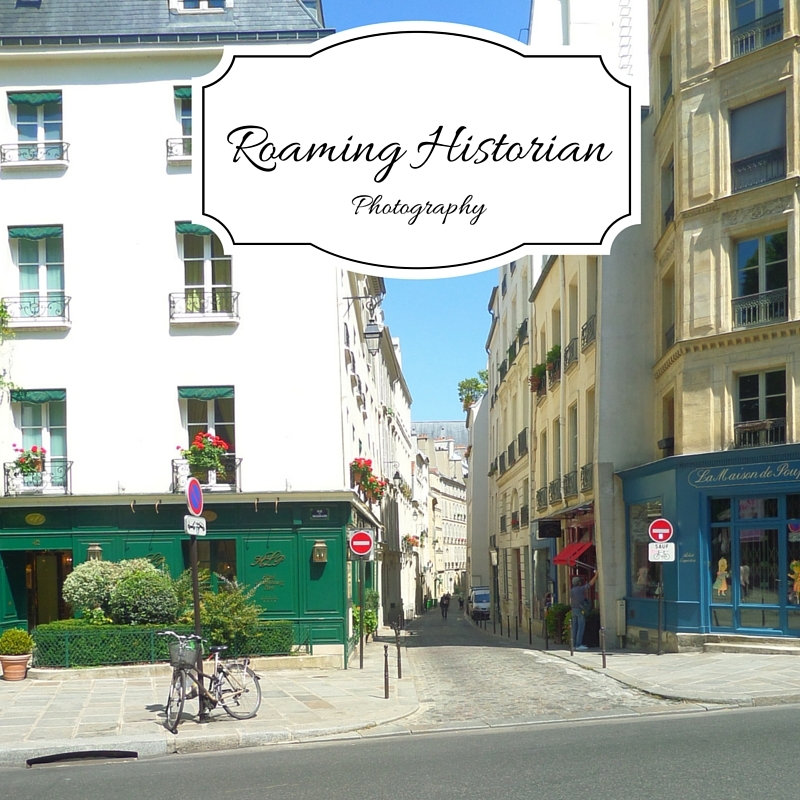 A Taste of History brings the past alive and into people’s homes on PBS or RLTV. Through culinary history, Chef Walter Staib shows viewers who we are by looking at what we’ve been eating. Recipes can give us loads of insight into a culture. 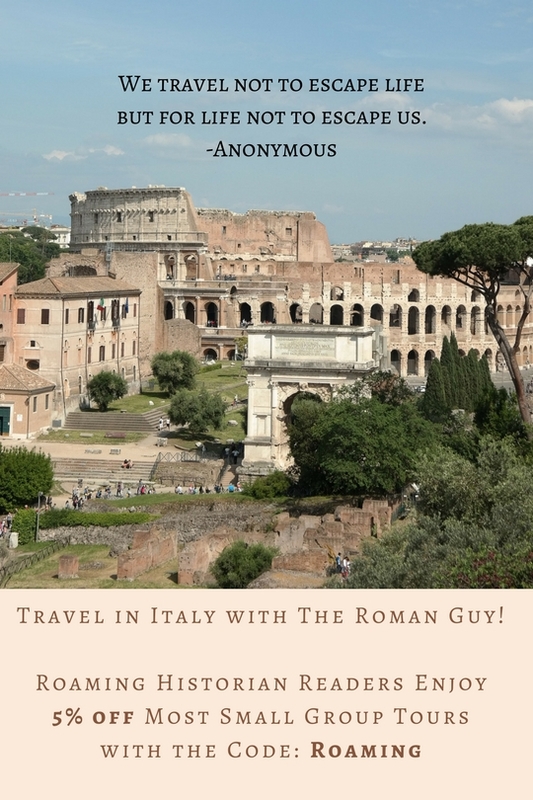 A Taste of History presents the past in a way that makes both history and cooking approachable. Chef Walter goes on location to recreate meals and visit places that were important to people in our history. He presents a well-rounded view of the past. In season one, he explored Martha Washington’s role in the war (and recreated her Turkey Stew with oysters), what Washington ordered the night they crossed the Delaware (Pepperpot Soup), and the signature dish of the slave chef of the Washington family, Hercules (Veal Olives). The show has won six Emmy awards—no small feat for any show, but especially one with only seven seasons under its belt…and they’ve been nominated for six more. 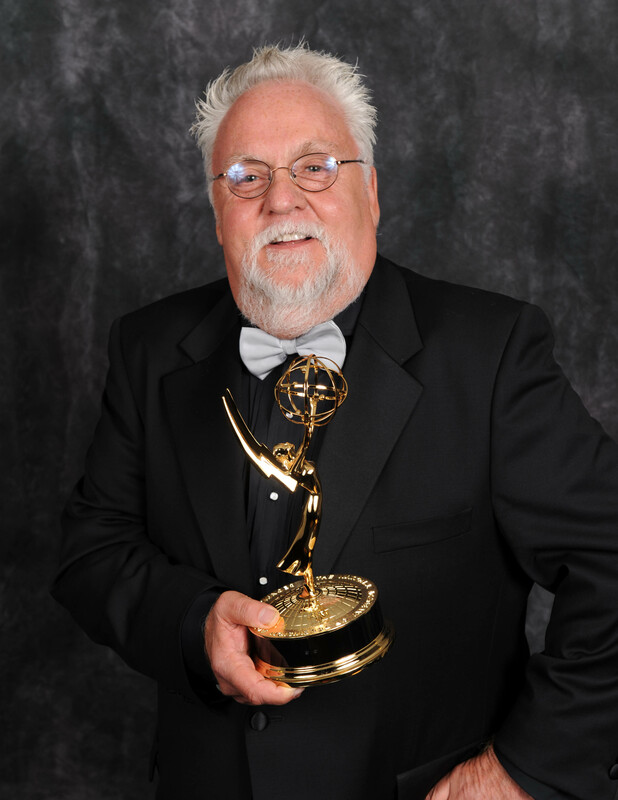 They fund their award-winning show through sponsors, donations, and underwriting by Chef Walter. The show is currently in its eighth season. When I asked where he got ideas for new shows, he said from viewers…so, if you have an idea or would like to pick up a DVD, visit the show’s website at: http://www.atasteofhistory.org/ And the next time you’re in Philadelphia? Stop by City Tavern. I recommend the Apple-Wood Smoked Pork Chop or the Beef Pie Turnover. *Source for John Adams quote, City Tavern website, Private Affairs page.